Thanks for coming to last night’s Steven Severin show! 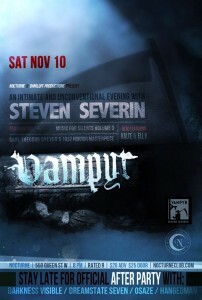 Thank you to all of you who came out to Nocturne for last night’s Steven Severin show! Mr. Severin gave a fantastic live performance to the classic film Vampyr, and we thoroughly recommend that you attend his show if he comes to your city in the near future (upcoming dates include Pittsburgh, Lancaster, Philadelphia, Washington D.C., Boston, Brooklyn, and Manhattan). 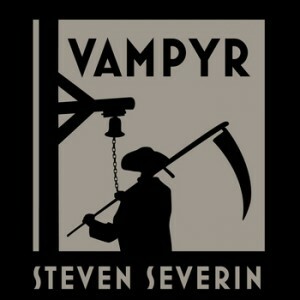 If you’re not able to attend any of the shows you can still pick up a copy of Vampyr at www.stevenseverin.com, it’s a really great soundtrack that we’re sure you’ll enjoy! Thanks to Daniloff Productions and Nocturne for their support, and thanks especially to Steven Severin for letting us open for him and for all of his inspiration over the years! We are very pleased to announce that Kalte will be opening for Steven Severin at Nocturne in Toronto, Ontario on Saturday November 10th. 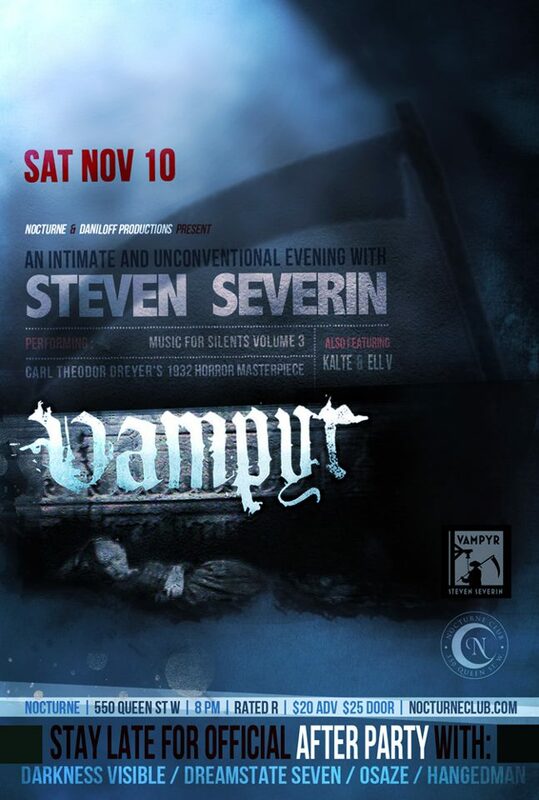 Mr. Severin will be performing his new score to the classic film Vampyr, and we hope that you’ll be able to join us for this very special event. Click on the poster to the left for more information! Thank you very much to Daniloff Productions and Maggie Morgue Promotions. 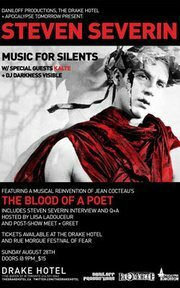 We are thrilled to announce that Kalte will be opening for Steven Severin’s performance of Music for Silents featuring Jean Cocteau’s “The Blood of a Poet” at The Drake Underground in Toronto, Ontario on Sunday August 28th. Our good friend Liisa Ladouceur will be doing a Q and A with Severin at the show and DJ Darkness Visible will be spinning Darkwave throughout the evening. We hope you’ll be able to join us for this very special event, please visit the Drake website or the Facebook event page for more information.